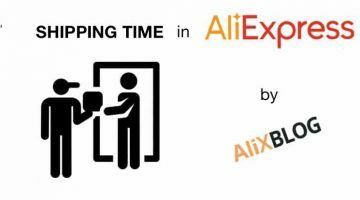 11 - 11 AliExpress Shopping Festival: Best Sales EVER! 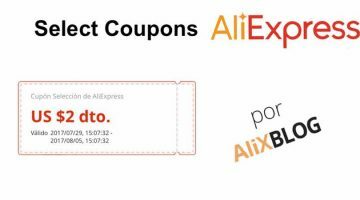 Alright, at this stage you will already know the truth about the AliExpress coupons. Today we have a very special article dealing with the amazing offers provided by AliExpress. 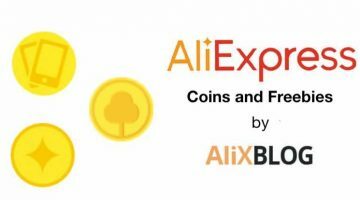 October has come to an end, and in AliExpress everyone is only talking about two things, the upcoming 11 11 AliExpress Shopping Festival, or, the fact that some of the biggest discounts in the world are going to take place, and unlimited amounts of offers are going to be available… Are you ready? What is the AliExpress global shopping festival? In China, the 11th November is known as the ‘Day of the Bachelors’ (also referred to as the Chinese anti-saint valentine), this is due to the four ‘1’s that formulate the date (11 – 11) and that, according to popular belief in China, resemble leafless trees. The Chinese consumerists celebrate this day enjoying a great number of promotions and sales provided by major e-commerce corporations. For these e-commerce companies, this is the biggest party of the year on an international level. Big companies such as Alibaba, Group China, Jingdong or Dangdang become the main protagonists when dealing with online transactions. Just looking at last years 11 11 Shopping Festival, the Alibaba group made no less then 5,7 billion dollars in 24h, beating all global online sales records. 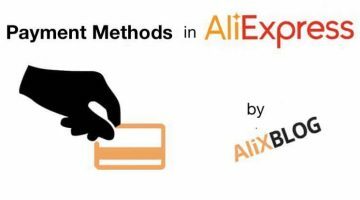 AliExpress, one of the largest online sales platforms of Chinese origin, always offers discounts and coupons and every year beats online sales record. During 11.11 you will find millions of products with discounts of up to 70%, coupons, promotions and express offers. October 20th to November 10th: Reserve your favourite products and you will get an extra discount. In this section you will be able to find all the products that admit booking with additional discount. October 28th to November 7th: You can get discount coupons in Gameland. Every time you visit a store through this game, you'll get a $2 selection coupon that you can use for participating stores. Every 5 visits, you'll get an AliExpress coupon. Click here to play. October 28th to November 10th: Every time you add items to your shopping cart, you'll get 5 coins, with a maximum of 100 coins per day. These coins can be exchanged for coupons. More information here. 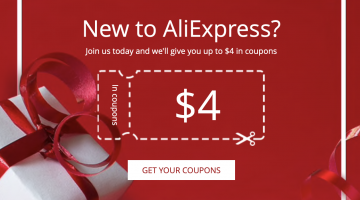 4th November to November 12th: Get AliExpress coupons in the “Coupon rain”. They are distributed on a first-come, first-served basis, so hurry up! In this link you will find all the details on how it works. And 11th November… 11.11 World Shopping Day finally begins! Great discounts, amazing offers and lots of surprises, don't miss out! Telecast: If you are looking for a mid range tablet at a low price, don't miss out on the discounts offered by Telecast during the 11.11. This tablet has great features, a slick design and comes with Windows 10. The Teclast X98 Pro will sell for 209$, 70$ less than usual (more information here). If they run out of stock before you get to buy one, take a look at the other pc tablet offers by clicking on this link and searching for the the category “Tablets”. Tablet Cube i7 Stylus: If the Telecast tablet is not exactly what you are looking for because you in search of pure processing power, during the 11.11 the Cube i7 Styles will be on sale for only 285.9$. More information here. Meizu: If buying a Chinese mobile phone has been crossing your mind for a while, don´t miss out on the superb offers. In terms of their star product, the Meizu M2 Mini, we have to say that there are not many units on sale, so it is quite possible they run out of stock before you can get your hands on one, however, here you have some information. In any case, during the 11 of the 11 there will be many more offers and discounts in mobile phones and technology, you can see them here. Xiaomi RedMi Note FDD: If you make it in time (not too much in stock) you can buy one of the cell phones of the year, the Xiaomi Redmi Note 2 FDD, for just 154$. More information here. If you compare it to it’s price in Amazon, it is 50$ cheaper. TronsMart (discounts up to 40%): Windows Tv Boxes are less popular than Android’s, however, more and more people are converting their televisions in some genuine PC’s. TronsMart are also famous for there ultra fast chargers, these charge your phone way faster than normal chargers (don’t worry they won't burn out your battery). Here you can find more information. Vinsic (Discounts up to 40%): Vinsic is a brand specialized in electronic accessories for cell phones. Amongst their most famous products you will find their wide range of external batteries and chargers (solar powered ones are really cool and of course eco-friendly). Find more information here. Bluedio: How about trying out these headphones instead of the Dr Dre replicas. This brand has high quality speakers and headphones for very good prices. Check their products out here. Intelligent routers Xiaomi (discounts up to 30%): A side from the intelligent wrist band and their cell phones and tablets, this brand also has some very potent routers, during the 11 11 shopping festival they will be way cheaper then usual. For more information click here. Lemfo: Lemfo is a Chinese company specialized in smartwatches. These rather elegant watches are compatible with iOS and Android devices. Take a look here. Fashion clothing for Men, Women and Kids (up to 25% discounts): More information here. By the way the 11th of November is a good day to take a look at our acronym table to find brands in AliExpress. ICEbear: As good old Jon Snow would say, WINTER IS COMING, and what better way to keep warm than with a heavy duty ICEbear jacket (from 35$). As always, more information here. RockBros (up to 70% discounts): For all you cyclist out there, on the 11 you will be able to find all sorts of accessories for your bicycle here. Bmai: This is a brand that sells sports gear and apparel at incredible prices. Li-ning: Another sneaker and sport gear store. More information here. Sheinside: (up to 75% discount and world wide free shipping). Sheinside is one of the most popular fashion brands in AliExpress due to their competitive prices and their talent in inspiring their clothing designs in famous brands :). Take a look for yourself here. TOUCHBeauty, KIKI y POVOS: These stores specilize in beauty and well-being products for both men and women. You will be able to find electric shavers, face brushes, massage machines, waxing utensils… You can find products with up to 50% discount here. Shark: High quality watches up to 50% off. Everpretty: Cocktail dresses, prom dresses, night dresses, short dresses, long dresses ALL TYPES OF DRESSES 20% OFF right here. Sjcam: We can call these the better priced sisters of the GoPro. Don't think that these are bad quality though. Thousands of sales and happy customers demonstrate that these are a high quality products (the only thing missing is a big brand name backing them up). You can find these here for 20% off. KBL, Berrys, Sleek, Hot Hair, LadyStar: If you are looking for hair extensions don't miss out on the 55% discounts that you will be able to find during the 11 11 shopping festival. More information here. Watch out AlixBlogger: Some sellers are playing dirty and are jacking up their prices and leaving the original ones as if they were a offer. Make sure to do a little bit of research before buying just to make sure you and not being fooled. We ask you not to buy anything from these sellers so we can teach them a lesson between all of us (they are messing with the wrong people ;)). These categories contain top brands with great discounts that can also be combined with seller and AliExpress coupons, making it a good opportunity to buy quality products at great prices. The most valued are the Xiaomi mobiles, but we will also find good discounts on Meizu, Huawei, Asus and Ulefone phones… As well as thousands of accessories, ranging from cases to car mounts. You can find them all here. The Xiaomi Mi Band 3 bracelet is the star of these sales, as you can see in this section. But you will also find projectors, TV Boxes, DJI drones and accessories, Zhiyun image stabilizers and other very interesting offers. My favorite section of discounts because you can find great bargains in products that you need in your daily life but you never decide to buy. Plus, you'll find lots of Christmas decorations, organizers for your home, plates, pet accessories and much more, you've got it all here. If you like crafts and having a perfect home, this category will interest you as it brings together all kinds of products, from SNDWAY laser distance meters to Livolo switches, all types of lights, taps and tools for your home. If you want to renew your wardrobe for little money, these discounts are a good occasion, as you will find a wide variety of quality brands and all kinds of garments at very low prices. You can access them by clicking here. This category is ideal for the more athletic, AliExpress has a wide variety of cheap and quality sports equipment. You will find cycling accessories, Nike and Converse shoes (amongst others) fishing products, hiking clothes and much more in this section. 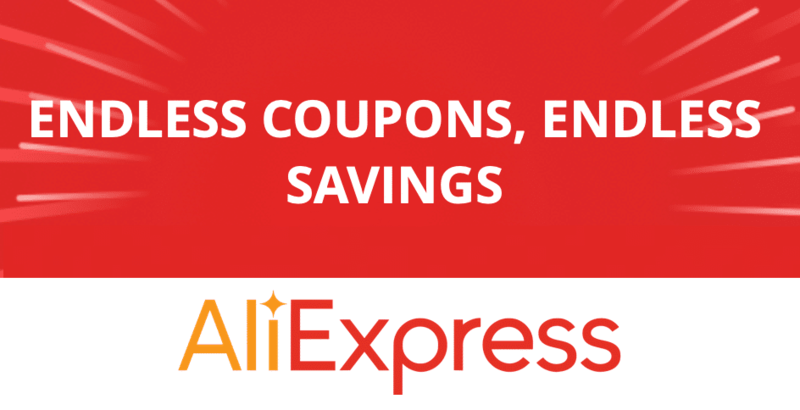 If you are looking for spare parts we recommend that you stop by and see what AliExpress has to offer in these discounts for your car or motorbike. You can find lights, motorcycle helmets and protections, multimedia players and much more by clicking here. A very interesting category, as you can find Huion graphics tablets with a 30% discount, SSD disks, Samsung memory cards, USB sticks, 3D printers … If you are interested, just enter from this link. The little ones of the house also have their own category in these sales. It is a great occasion to buy Christmas gifts, as you will find cuddly toys, Marvel dolls, drones, remote-controlled cars and many others, you have them all here. During these sales it is always a good occasion to look for accessories and treat yourself. In this section you will find all kinds of beauty products (face masks, makeup, hairdressing equipment…). You will also be able to find jewellery and accessories (men's and women's watches, rings, earrings…) you can find it all here. Finally, this section is dedicated to handbags and footwear, also worth a visit to find possible Christmas gifts. You can find bags from 5 euros, as well as backpacks, purses and all kinds of footwear. So, now you might understand why 11 – 11 has turned into such a great phenomenon worldwide. Obviously, AliExpress could not miss this huge party. Throughout the 11th of November AliExpress will be offering millions of products up to 70% discount, incredible lighting offers (you have to be very alert if you don’t want to miss these), coupons and an endless array of promotions.. It is, without a doubt, the best opportunity for you to get started on all your Christmas gifts, so don’t let the opportunity slip away from your fingers or you will have to wait another 12 months! Only a few days left for the most anticipated event of the year to take place (at least for all us AliExpress fans). Make sure you pay close attention and hurry when buying during the 11 – 11, seeing as offers and promotions change on an hourly basis.